We have a vast timetable of classes and bring in new classes throughout the year. Head over to our class timetable page where you will see we have classes at Madley Park, Witney, Oxsrad in Oxford and also Wootton nr Abingdon. but, here are our class descriptions to help you choose which class you might enjoy trying. Fat Burning workouts that will increase your metabolism and focus on toning the whole body and burning ALOT of fat. Classes include warm up followed by group circuit or individual work. Potential to burn up to 700 cals plus per class. HIIT programme that burns fat and calories and targets specific body parts. The format is small groups doing short bursts of high energy exercises, rotating exercise by exercise. Exercises include jacks, plank, squat jumps. Pilates is an exercise method designed to elongate, strengthen and restore the body to balance. Fitness Pilates works along a similar structure but works the body as a kinetic chain. Posture, core strength and muscle imbalances are the main concerns that we address in our classes. This is a fun, high energy class using pads and gloves. We work in pairs and include skipping, running and partner drills. Great way to burn calories! A fantastic class with ballet inspired moves to help sculpt the lower body, core and also to improve flexibility. Lean, sculpted bodie is the main focus of the class. A class totally focussed on working the core. Lots of options provided so you can work at your own level. Fun, dynamic and effective. Our Zumba programme fuses hypnotic latin rhythms and easy to follow moves to create a one of a kind fitness experience that will blow your away. 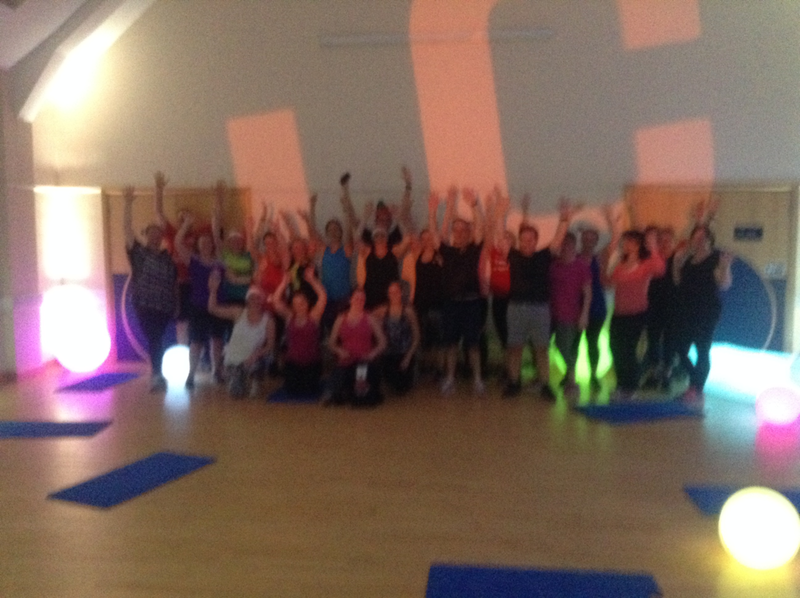 Our goal is simple… we want you to want to work out, have fun, love it and get hooked on this amazing PARTY CLASS. Our Zumba Toning class is similar but we provide the toning sticks to help tone to upper body and core more.